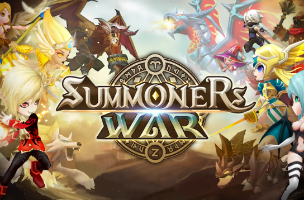 At E3 in Los Angeles, Com2uS announced the launch of Summoners War: Sky Arena on iOS and Android devices. The turn-based RPG offers fast-paced battles, 3D graphics and gameplay combining strategy, city-building, dungeons and player-vs-player combat. In Summoners War: Sky Arena, players collect up to 400 monsters, each with an elemental attribute (like fire, water or wind). These monsters can be evolved and upgraded to become stronger, while a Rune System allows players to pick and choose the abilities they’d like those monsters to have. While the game offers strategy for those looking for it, battles can also be completed in “Auto Mode” for easier battles. Once players are satisfied with their team of monsters, they can take them into player-vs-player battles in the Sky Arena. To celebrate the game’s worldwide launch, Com2uS is holding two limited time events for early adopters. The first sees players earning free in-game currency for reaching every five experience point levels, until level 20 (that is, a prize will be award at Level 5, Level 10, and so on). In addition, gamers can win extra prizes each day they rack up three wins in the multiplayer Sky Arena. These promotions will run through June 18. Summoners War: Sky Arena is available to download for free on iOS and Google Play.